At Alpine, science is part of our everyday life. ​Each year, we plant zucchini, pumpkins, tomatoes and sunflowers, which gives us many chances to talk about food and the life cycle. Children explore gravity and motion by building simple pathways. We like to have fun and learn at the same time. We combined vinegar and baking soda to make the corn kernel hop. This was a fun way to introduce chemical reactions. ​We like to learn about the world. We did an experiment to see how polar bears, sea lions and other mammals use blubber to keep warm. 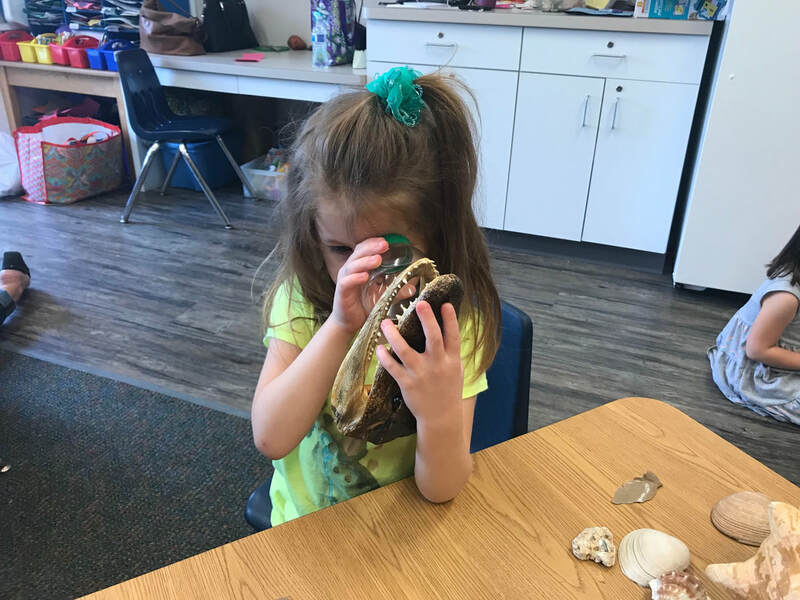 We used a magnifying glass to compare the properties of shells, sea skeletons and sea rocks. Our backyard offers many opportunities to learn, such as deciding if this was a butterfly or a moth. Alpine's children learn about current events. We watched mini-reenactments of earthquakes and talked about their causes and effects. ​Now, we understand when people talk about these disasters. ​Watch the video to see how much we learned. ​Our toddlers enjoy science, too. They like learning new vocabulary words and using them when they talk. 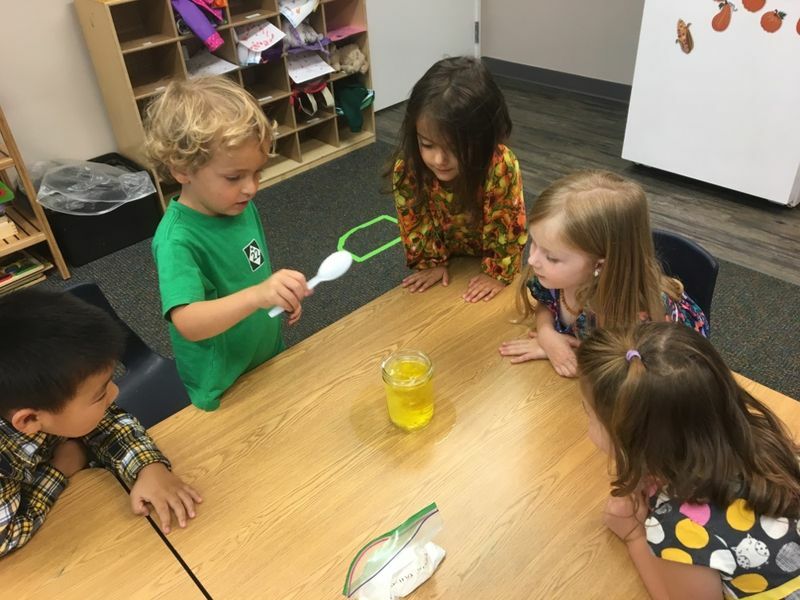 Working in small groups makes science experiments more meaningful.